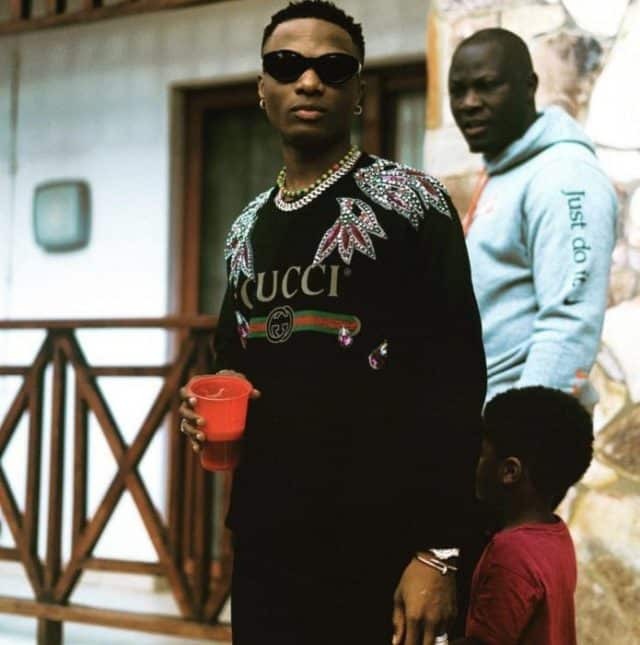 Super star singer Wizkid who is currently in Canada on tour, had a show last night and decided to share a few DM’s he received from pleased fans. According to the singer, some of his female fans sent him a DM to appreciate his efforts and some also used the medium to express their love for him. 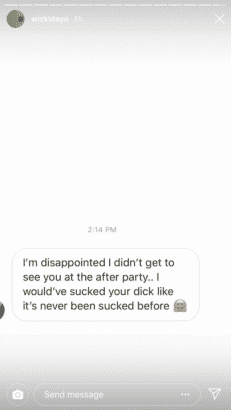 One of whom was a female fan who regretted not seeing him at the after-party and said she would have loved to give him the best orals of his life. 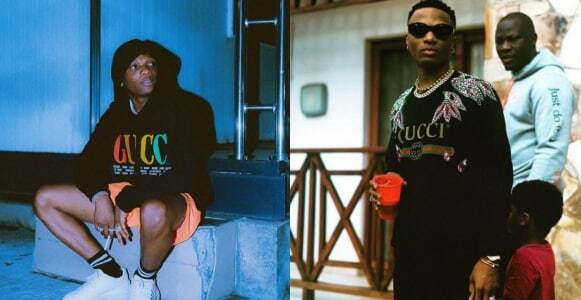 Still on Wizkid, you loved “Come Closer” and “One Dance” then you should fasten your seat belt because the duo of Wizkid and Drake may be taking you on another pleasurable ride.